Most people in our trade are now aware of the increased interest by the consumer in cask ale reflected by a strong revival in market share – 5% growth versus a 2% decline in beer. Cask beer now represents 45.3% of total ale volume and 16.4% of total draught beers. It has over 8.6 million cask ale drinkers and a 17% increase in 18-24 year olds with woman continuing to show great interest. CAMRA membership rose by 14%in the year. For a licensee the challenge is how to make the most from this growing market and interest in cask. They are more affluent and visit pubs more often – remember cask is only on sale in the British pub. More likely to be at a life stage with fewer financial commitments – important in these recessionary times. The cask beer drinker spends more money in the pub – on both quality beer and food. (Cask Report 2010). To show you are serious about cask you need to start with a minimum of two handpumps. Regarding range, you need to initially stock on a permanent basis tried and trusted brands from regional brewers and when expanding your range use guest ales from local brewers (see below). Having a trained cellar manager is key to beer quality and yields and this can seriously benefits your bottom line profitability. A case study showed that beer quality can improve sales by 2% and yields by over 7%. Training courses are available nationwide through Cask Marque. Throughputs are important. A cask once placed on sales must be sold within 3 days. Cask is a live product and has a short sell by date. Good landlords may increase their range at weekends and have fewer beers available during the week to take account of a slow down in the rate of sale. You must clean beer lines every 7 days. Don’t price too cheaply. Cask is a handcrafted product and it should be priced on a par with premium lager. On the Cask Marque website. On the sat nav free download giving directions to your pub. On the text messaging services which tells consumers their nearest two pubs. On the new iPhone app, Caskfinder, which not only will display details of your pubs but also the beers available and tasting notes. 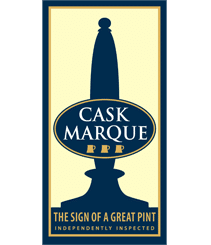 Remember 46% of cask ale drinkers recognise the Cask Marque plaque (NOP May 2009). 6,700 licensees hold the award and it is issued to the licensee not the pub. 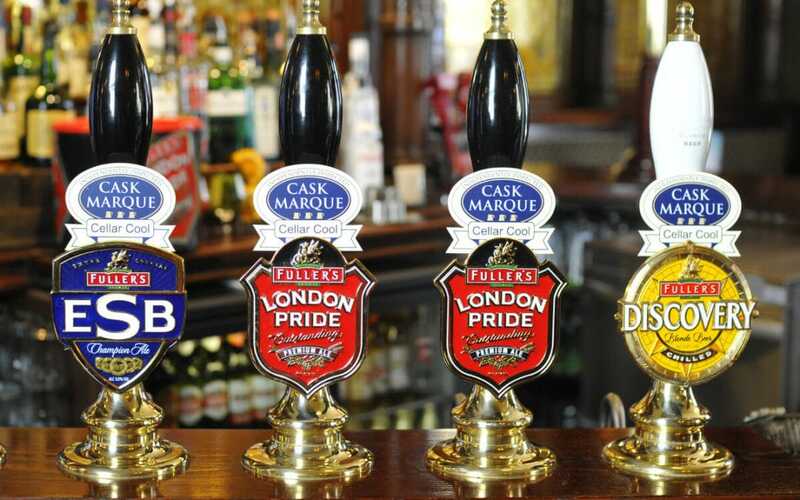 Currently Cask Marque has a 16% growth in accreditation in 2010. Talk to your local CAMRA branch and host a CAMRA meeting. Over time aim to be listed in the CAMRA Good Beer Guide. Start stocking rotational guest ales (but remember throughputs). Offer “Try before your buy” to encourage sales. Hold a ‘Meet the Brewer evening’ in your pub and organise a brewery trip to your local brewer. Support your bar staff with key facts about the beer and give them tasting notes. Ask customer to select which beers they would like as ‘guests’. Use the Cask Marque logo on all your marketing. Free POS is available. Participate in Cask Ale Week and use other events to promote cask – Halloween. So remember, if you want to enjoy the profit from cask beer you and your staff must be passionate about the product, beer quality is vitally important and you need to tell customers about your offering.